This series of posts explores some of the issues raised in our first project publication, the Forum in Shakespeare Studies 45 (2017) devoted to 1580s drama. We are grateful to Diana Henderson and James Siemon for allowing us the opportunity to publish these essays in their journal. See below for links to the full series. When we think of playhouses, or of theatres (or of theaters), we generally proceed on the assumption that we have a pretty clear idea of what we’re talking about. Theatres are places where drama or performance happens: to put it another way, playhouses are where plays play. Plays are written by people we generally call either playwrights or authors, and they are performed by people generally known as actors, more commonly called, in the early modern period, players. In that period, such plays were most often written in blank verse, the stylistic choice that perhaps most immediately distinguishes earlier plays from the scripts written for modern theatre, television or cinema. Theatre and theatre history are often hugely controversial, but we can at least feel that these basic terms are fairly secure in their essential meanings and as building blocks in our knowledge. Unfortunately, almost every word in the above paragraph did not work in the early modern period in exactly the way it works now. Playhouse, theatre, drama, performance, play, actor, player, playwright, author and blank verse: none of these words functioned in the period in the way that scholars, performers, audiences and theatre critics often assume now. Nor do a series of related words, such as comedy, private, public, and even apparently secure and uncontroversial periodisation terms distort or misrepresent the historical experiences they purport to describe. Amongst these are the obvious terms of periodisation, such as early modern or Renaissance, Elizabethan and Jacobean (and the often forgotten and delightfully named Caroline), but of course our own period divisions on the Before Shakespeare project are just as problematic, whether they focus on the first thirty years of the playhouses, or on the 1580s, the first decade of extant plays written for those playhouses. We might also note that the people who went to see these plays, now known individually or collectively by modern terms such as audience, spectator(s), theatregoer(s), seem to have had no agreed name in the period itself. As Michael West suggests in the Shakespeare Studies Forum named above, such people had no individual or collective name to define them by the activity of playgoing. So here are some of the questions currently making my head whirl: is theatre theatrical? Do actors act? What does an author author? Why do we talk about playwrights writing plays, when the word makes perfectly clear that they actually wright them? And does the language of theatre shift depending on who is speaking that language? Did theatre practitioners name themselves, for instance, using different terms compared to the language used by those who sought their attention, allegiance, patronage, control, censorship or effacement? In a series of blog posts, I’ll be offering a few words about these recalcitrant words, and as ever I’d be grateful for any thoughts, retorts or further questions you might have. Posts will contain provocations – the things currently provoking me – but also possible answers and tentative evidential bases on which to build. This is because, for all my caveats about the artificiality of isolating the earliest years of the London playhouses, it’s this period that is the formative moment for the London playhouses, however much we take it for granted, and it’s this period that sees many of these words shift into theatrical parlance for the first time. Blank verse, for instance, is a new term in the 1580s, whilst playwright is a coinage first recorded about a decade later; though we now use them as neutral literary descriptors, both terms were intended to insult, debase and belittle. Over the course of these blog posts I aim to suggest that it’s the playhouses that change the language of performance. The very act of housing plays in playhouses produces a new need for new plays: where a travelling company can bring the same play to new audiences, a playhouse relies on repeat custom and therefore a supply of new wares. It’s no accident that in the midst of this new need for newness, new terms for new kinds of professionals, plays and performance expectations are generated. Post number 1, coming soon, concerns the word ‘actor’, which I’ll be suggesting has very little connection to theatrical performance before the opening of the London playhouses. Its integration as one potential term for theatrical practitioners during the eighty-year period of those playhouses was slow and contentious, and has much to tell us about how performers defined themselves and were defined by others. And just by way of an apologetic health warning, for myself as much as for my readers: even as I worry aloud about the misleading nature of one of our least interrogated theatrical terms, you’ll notice that I fall back on the usually agreed meanings of the rest of them. So I’ll be unpacking the history of the word ‘actor’ as a theatrical term, leaving the term ‘theatrical’ to be explored in a later post. 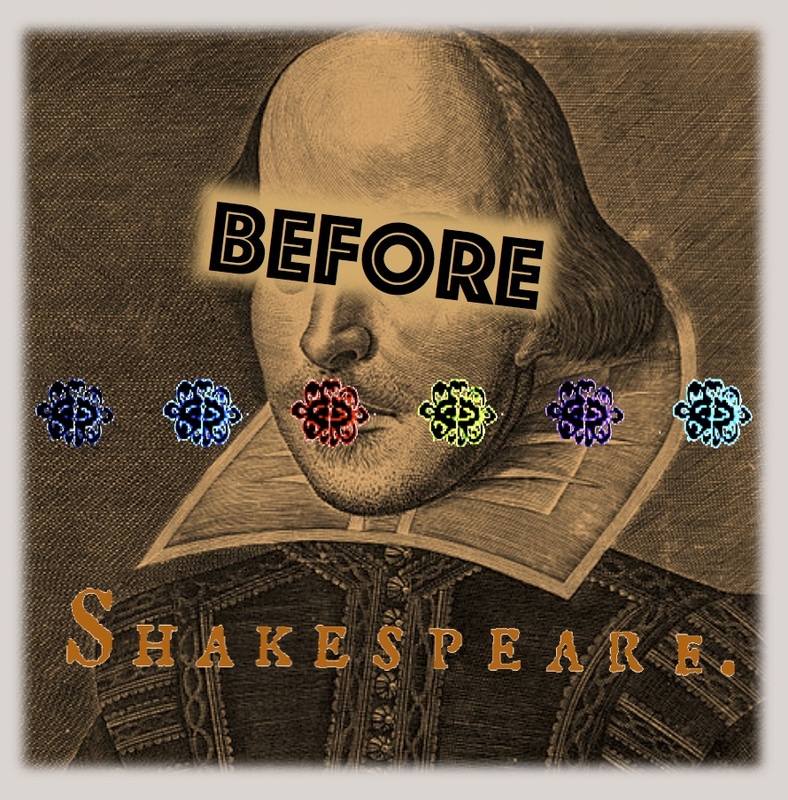 You can expect quite a bit of further activity on the Before Shakespeare blog alongside this strand of blog posts. We’re about to share Victoria Abbott’s stunning music for Emma Frankland’s production of Galatea, and we have further interviews and insights coming from various performers involved in our Dolphin’s Back performance workshops. And, as ever, we welcome blog posts from scholars, theatre professionals, audience members and others on the subject of the earliest years of the London playhouses, the staging of their plays then or now, and any other historically or culturally related matters. Do please be in touch if you’d like to get involved in the conversation. Looking forward to this series of posts, and happy to join in the conversation. Thanks Laurie – and do consider writing something for the series, in addition to commenting on anything we generate. We’d love to host you again! Do you want to wait till we publish our post on that word, and then respond or cover things we’ve missed? Or vice verse? I’d be at least a couple of weeks away from being able to throw anything together — heading off for a driving holiday for a week, and then I’ve got a packed week before Christmas. So feel free to get in first, and I’d be happy to do a follow-up. 🙂 Cheers, Laurie. The series isn’t going to move fast: take your time. We’ll be happy to have it, whether you get there before or after me.